through the use they made of the flora and fauna of the area. 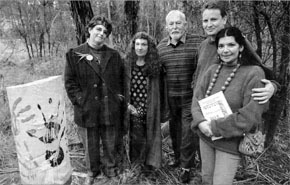 After the Nillumbik Reconciliation Group had run either one or two Short Story Awards in the 1990s, it had become apparent that the kids hadn’t quite caught on to the local Aboriginal story. 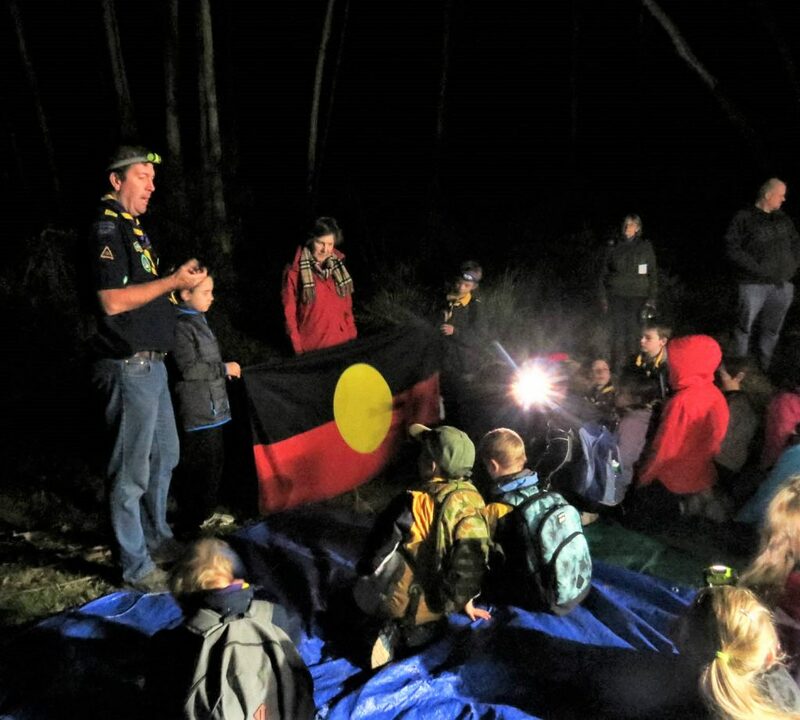 So it was agreed that a worthy goal would be for NRG to chase up a piece of bushland for them to walk and learn more about how life had probably played out for the Wurundjeri. The convenor of the Friends of the Warrandyte State Park at the time had been my good friend Margaret Burke, and when I’d learnt that she’d won an $180,000 Grant from the Federal Government’s Telstra Fund to do restoration work on the Warrandyte-Kinglake Corridor, I approached her about using one of the seven bushland reserves along that Corridor as an Aboriginal Trail. By arrangement the two of us met at the first of these reserves just across the bridge over Watsons Creek on the Eltham-Yarra Glen Road (right-hand side), and checked it out. I immediately recognised it as being too weedy and unsuited, so we moved on to the reserved area on the other side of the road – and it was just perfect. So I asked her whether some of the Telstra money in the National Heritage Trust bucket could be diverted to develop it as Aboriginal Walking Trail. Margaret was all for the idea, and so in consultation with Llewellyn Pritchard we marked out a loop. 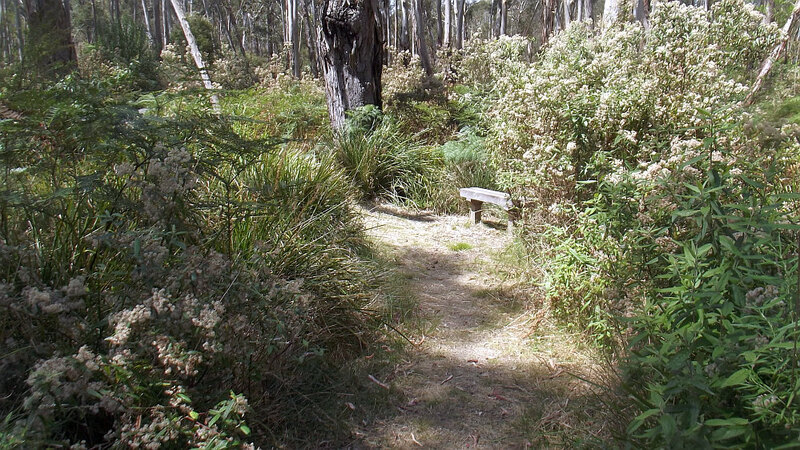 Seven young members of the Green Team came on board, who developed the present trail in association with Parks Victoria conditional on there being no mechanical clearing. So the paths were cleared by hand, seats and rails installed along with the nine original wooden markers and attached texts.